It must be my Lucky Day! While I have been busy preparing for my company, I have tried to check in and do some quick blog hopping, and to my surprise it is my lucky day! I noticed over at Fantabulous Cricut my summer card made Design Team top 3! Over at CupCake Craft my Strawberry card made top 5! and over at Serenity Scrappers I won an awesome paper pack! And Grandma Georgia sent me a surprise box that came in the mail today! Yippee!! I can't wait to start crafting again!! I have no time to craft...~Sad~ because I am preparing for the arrival of our Grandmas from Georgia! But I do have time to list some sweet blog candy! Check it out here! Hurry this one ends 6/30/10! thanks Bumblebee for passing the info along! Alphabet challenge I - Our challenge for you this week is ICY COLOURS - such as pale blues, pale greens, white, silver. Check them out here! 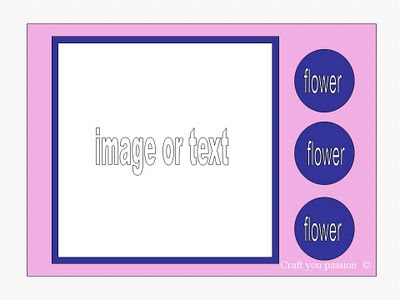 Cricut Cards Challenge: For challenge # 30, make a card for a wedding using any cartridge(s) or colors you'd like. Check them out here! Here is my entry for both! I could not find a wedding cake on any of my cartridges except Wild Card and I didn't want to use that one so I used the Birthday Cake from Stretch your Imagination, I just left off the candles! The paper is from K*I Memories, the flowers are from Joann's and I used a little punch for the little blue flowers. Sentiment is from Close to my Heart. I found these great colored large staples at Micheal's so I added them to the ribbon. Check out Emma's great blog here! So this was a challenge because I like to make cards and struggle to make lay-outs. But I wanted to make a scrapbook for a neighbor and give it to her for Christmas... I was able to make a Dad page when I completed a challenge for Father's Day, so this challenge is perfect because I wanted to do an Easter page. I was able to use the bunny and the Easter egg from DoodleCharms. I so need to practice making lay-outs! Bunny and eggs are cut from DoodleCharms, I embossed and glitter the eggs. Jitterbuggin - Sketch 6 three cheers for red white and blue! Check them out here! 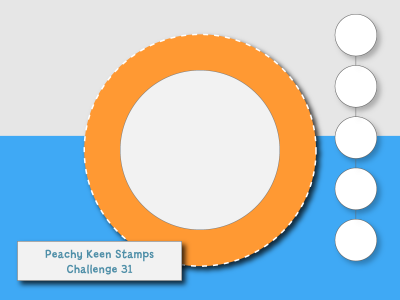 Here is my Entry: Paper Cutz Challenge: Check them out here! This week, make a card, LO or craft project using circles, stars or squares and any colors or theme you'd like. Easy peasy! In honor of the upcoming holidays, we decided to have a "Patriotic Week". 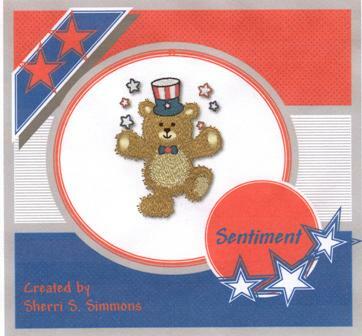 This can include cards, layouts, gifts, altered items or anything with a patriotic theme. Check them out here! Heartstrings: Red white and blue! Click here to check them out. They also have cool stamps! I used Paper Pups for the Happy Circle Cut, Plantin Schoolbook for the 4, The July stamp is Close to my Heart and the stars are punched. Pattern paper was from a July Stack from Target. Silver stars are brads. Have a great week! I have company coming on Thursday so I have been cleaning my house instead of crafting... SO Sad!! So I have not had anytime to make fun stuff! But I am cleaning my craft room and wanted to post what I won on the BBTB2 blog hop from May 31. I won this cool stuff from Heather over at A little time. Click here to check out her site. So I have to put my big craft table away because it is wedged in the middle of our office (SAD! ), finish cleaning the house, and get ready for our company and I'm working during all of this! I hope to stay up late and at least try to get another challenge done tonight! I heart crafting and I miss it when I can't do it! LOL!! 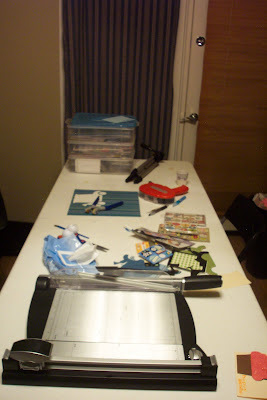 Cricut Me That has blog candy! Go check out Abbie over at Cricut me That! She has blog candy! Just become a follower for your chance to win! Tell her abusybee sent you! Check out her site here! I made this card using the sketch over at Peachy keen Stamps and the summer/beach theme from Craft Junkie Too, and Fantablous Cricut. Large circle cut from Debbie Mumm at 4"
Creat a project for summer using something you woud find at the beach. Made by Momo is having another challenge. Click here to check out her blog! Its that time again for another Tuesday Challenge!!! This weeks challenge is "Spots and Dots"!! I used Create A Critter for the giant Swiss cheese and mouse, the polka dot paper is from Debbie Mumm and the ribbon is from Scrapworks. Dream Big stamp is from Technique Tuesday. Challenge # 96 ***STRAWBERRIES & CREAM*** Visit Cupcake Craft challenges here! I used the Hello Kitty cartridge for the strawberry with the card feature and my Martha Stewart Drippy Goo punch for the cream, I decorated the inside so you can write a note! I will add a sentiment when I'm ready to give it away! Our challenge for you this week, is H for Hearts. We would like to see hearts on your work somewhere, either bp's, stamps, embellishments etc. You can visit the Alphabet Challenge Blog by clicking HERE! I used Paper Pups for the heart, I cut it twice and then added acetate paper between them using foam dots and filled it with pink glitter. When I taped the Heart Vellum paper down you could see my tape lines so I added the scallop border around to hide it. My cuts were off just a little bit, So I'll have to measure a little bit better next time! 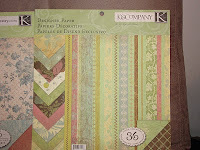 Craft your Passion Challenge # 11 Sketch. Click here to check them out! So glad you stopped by! For Challenge #4 make a Card, Layout, 3-D Project or any other Paper Craft Project with the theme BUGS, BEES, ANTS, OR LADYBUGS. Click Here to check them out! Serenity Scrappers: Flowers. Click Here to check them out. You can incorporate flowers any way you want: use patterned paper with flowers on it, use a digi with a flower on it, use paper flowers, etc! Just make sure to use up some of those supplies! Click here to check them out! My card is 5X7, I used Walk in My Garden for the flowers and Stretch Your Imagination for the Cricket. I inked all edges and added super large brads, I also used all scraps except for my card base!! Cricut Cardz For challenge #29, make a card with a vacation theme using any cartridges or colors you'd like. I found this cool map paper, inked the edges, cut the envelope and tag from Plantin Schoolbook and added some hemp. I stamped the tag "Enjoy the Journey"
Thank you Dora over at Especially for you Cards that sent this adorable Blog Buddies Award! I will be passing it along shortly! Check out her amazing blog here! ****Challenge is based on "ORIGINALITY"
****Must use Paper Doll Dress Up OR any older cartridge you may own OR if you JUST started collecting your carts, just use what you have! ****Your project of your choice MUST be a 3-D or an Altered item! I used the monster from page 49 of the Paper Doll Dress Up, but made her into a girl by adding bows. I attached her to a bag I made using Plantin Schoolbook. It is nice and tall and is perfect to keep pencils in! A PRIZE challenge..woo hoo! Take pics of you and your family at mealtime and create a fun layout. Since love makes the family go round and the family makes love go round..Lets do a ROUND layout! Since we BBQ almost everyday, I wanted to use the BBQ theme! I also made this for Frosted Designs: Click Here to check them out! What do you have around your house? This week's challenge is to "use something from around the house" as an embellishment. So I used the fork and spoon from my kitchen drawer! I have tons of them and I thought it was perfect for this lay-out. 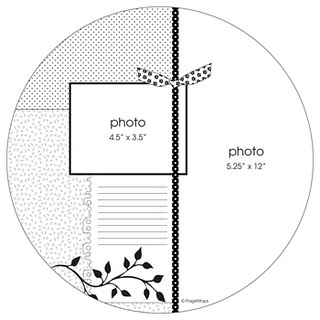 I used accent essentials to cut the large circle and then used the fun summer paper that I found at Target. The BBQ was a cut that I received from Alison my swap partner from Momo's swap. Thank you Rhonda from Scrap Happens for sending this award my way! You can check out her blog here! It is really fun to see other craft spaces! I first designed the silhouette only of the golf cart, then I redesigned it to make room for some photos! Then I glued and glued everything together. I wanted the golf balls to be shiny so I printed the Titleist Logo on photo paper, and used the center point to cut the circles, and ran them through my bubbles folder using my cuttlebug. I attached them only to the last page so you can see them as you flip through the book. I then used my paper punch and punched out the corners and added the ring. then I decorated each page front and back. Back Page: I used misc embellishments and cuts from Stretch your Imagination for the tag, Accent Essentials for the golf balls, and Create a Critter for the hole and flag. Paper Cutz Challege: For challenge # 45, make a card, LO or craft project for Father's Day using a digital, hand stamped or Cricut cut image and any colors you'd like. Winner! Top 3 at Fantabulous!